What a weekend it has been! I hardly know where to begin we have been so busy. It is best I give a rough outline and fill in later. We have had a roller coaster of emotions during the past few days. I am used to it all on some level, but it is all a new experience for the summer interns. I am delighted to announce we have a great group of young people this year. They are proving themselves as super competent quickly. We had a population explosion of passerine chicks of many species during the weekend. They are tiny but in some ways that hardest to care for. 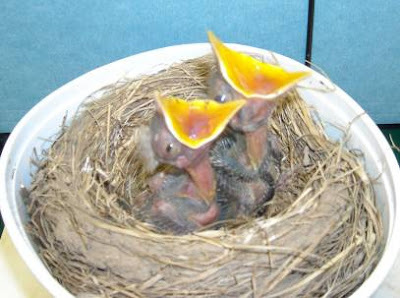 Many species of birds eat only insects their first few weeks of life. We have a few different formulas that augment the insect diet in part to make is possible to raise so many babes. Their fist week of life many of these little mouths have to be fed every 20 minutes. It is EXHAUSTING! It is exciting to see them developing however and once they are on their own, this labor intensive "baby time" will be but a distant memory. Funny how those memories become sweeter with time. Katie was very excited the other day when she picked up a bird with an odd description. 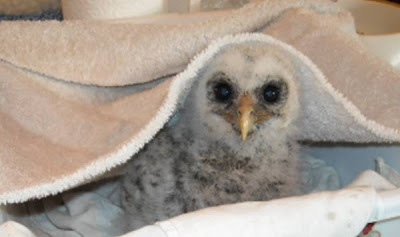 A caller said her cat caught a bird and she was stymied to come up with a description of the bird. Sometimes it is hard for people to give a good description especially if they are not familiar with nature. 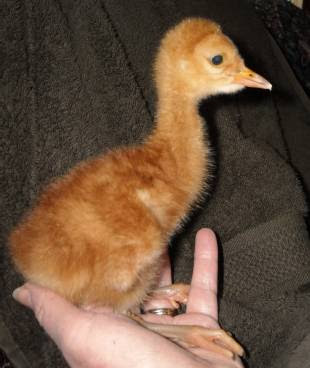 The little guy was a baby American Woodcock. 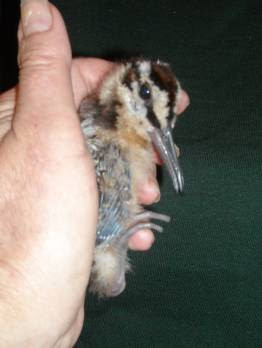 The American Woodcock is a shorebird with a fascinating natural history. The top beak is flexible. They eat their weight in earthworms daily. Happily our chick is eating tons of earthworms and is growing rapidly. The little one is doing well and currently is living with two tiny Common Merganser Ducklings. Yes, we know they seem like odd bedfellows, but in this case it is all about age, size and the fact that both species are high strung and need other individuals as companions for the best chance of surviving. The plan is working as all are doing well. 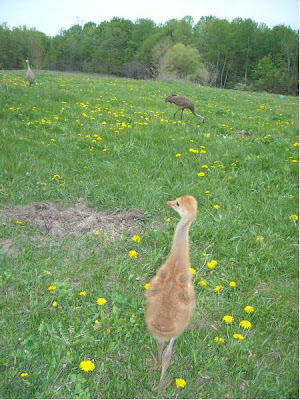 We have a new tiny baby Sandhill Crane colt. She arrived just last night from the Upper Peninsula of Michigan. Our other Sandhill Colt is now 2 weeks old. 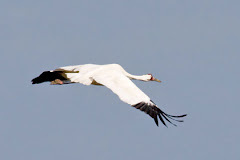 He is so tall and interacts with the wild pair of sandhills. It is an odd situation but it seems to be comfortable for the wild pair and for the colt so we are happy with that. The above is just a preview of the weekend. More will follow soon.